Vapor chambers operate under the same working principles as heat pipes. They have a metal enclosure which is vacuum sealed, an internal wick structure attached to the inside walls, and move liquid around the system using capillary action. It’s the differences in physical dimension and, consequently, functionality that set them apart. We ran an ad several years ago which poked some fun at the limitations of heat pipes. In most instances, vapor chambers simply outperform heat pipes, but at a modest price. Even when flattened to their limit, heat pipes maintain a width to height aspect ratio of about 4:1, less for smaller diameters. An 8mm heat pipe that’s been flattened to a width of 11mm will be 2.5mm tall. A mesh wick will allow for some additional flattening, but this rule generally holds true. On the other hand, a 2.5mm thick vapor chamber can have a width up to around 150mm. That’s a 60:1 width to height aspect ratio. As seen in the figure above, vapor chambers can be used to spread heat to a local condenser or move it to a remote one. Vapor chambers usually are in direct contact with the heat source, decreasing total thermal resistance and improving performance. 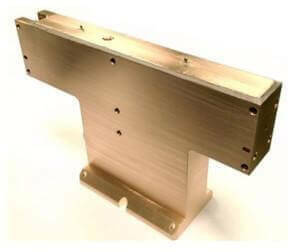 Heat pipes, especially round ones, require a mounting plate between the heat source and the pipes. Due to their large, continuous surface area, vapor chamber solutions allow better isothermalization at the chip interface, reducing hot spots. They can be extended beyond the width of the heat source, allowing further performance benefits versus their heat pipe counterparts. These two factors combine to allow vapor chamber solutions to outperform heat pipe solutions by 15-30%. Depending on the application, this translates to between 3-10oC improvement in end-to-end delta-T.
Celsia began the early work on the one-piece vapor chamber design over a decade ago. The goal was to meaningfully cost reduce a traditional two-piece vapor chamber design while maintaining thermal performance characteristics and adding some unique capabilities. During the course of development, our engineering teams experimented with hundreds of component and manufacturing process combinations to arrive at a device portfolio that has been used in millions of commercially available products since 2008. It was the first vapor chamber, of any kind, to be used in high-performance heat sinks for graphics cards, DRAM memory modules, and notebook computers. Starting from large diameter tube stock, a wicking structure is bonded to the inside walls using various density and porosity formulations. Then a wafer thin micro-perforated spacer is inserted to aid in vapor flow and increase structural rigidity. As with all two-phase devices, a liquid is added and the device is vacuum sealed. This process requires no stamping or machining and reduces the number of secondary operations, driving cost down to near parity with heat pipe solutions. However, it should be noted that one-piece vapor chambers can only be made (before bending) in a rectangular shape. Designs that require other shapes along the X and Y axes will require a two-piece design. Most manufacturers of vapor chambers use a traditional two-piece design. While studies show that performance of heatsinks using vapor chambers can be enhanced by 15-30% over their heat pipe counterparts, a two-piece design has cost implications of roughly the same magnitude. Consequently, their use has historically been limited to high power densities and/or those applications where other requirements outweigh the cost. Manufacturing this type of vapor chamber requires the use of an upper and lower plate which are usually stamped but sometimes forged or machined. A wicking structure is attached to the upper and lower inside plates. Wick type and porosity can be optimized depending on the application but could involve sintered copper powder, mesh, or a grooved internal surface. 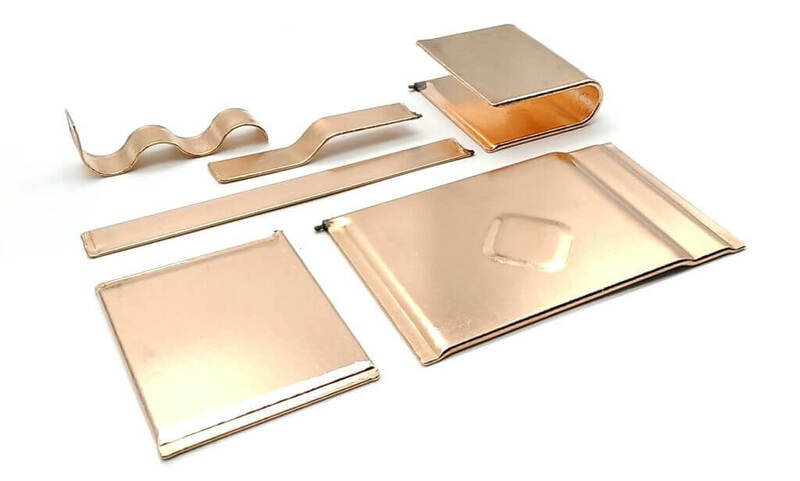 Numerous solid copper columns are added to reduce deformation from either higher clamping pressures of the module to the heat source or from high internal VC temperatures. Finally, the two pieces are diffusion bonded on all sides, a working liquid is injected, and the device is vacuum sealed. The device is now ready to have a fin stack(s) and the appropriate connecting hardware added. Specialty piece vapor chambers are also available. The image below shows a 25mm thick T-shaped vapor chamber which provides an isothermal surface for the mounting of multiple heat generating components. Despite the added production time and cost, two-piece vapor chamber designs have advantages over a one-piece design. Complex shapes along the X and Y axes. Changes to the wick type and porosity within a single vapor chamber. Should I Use Heat Pipes or Vapor Chambers?